Monthly Donor – Wildlife Animal Champions! 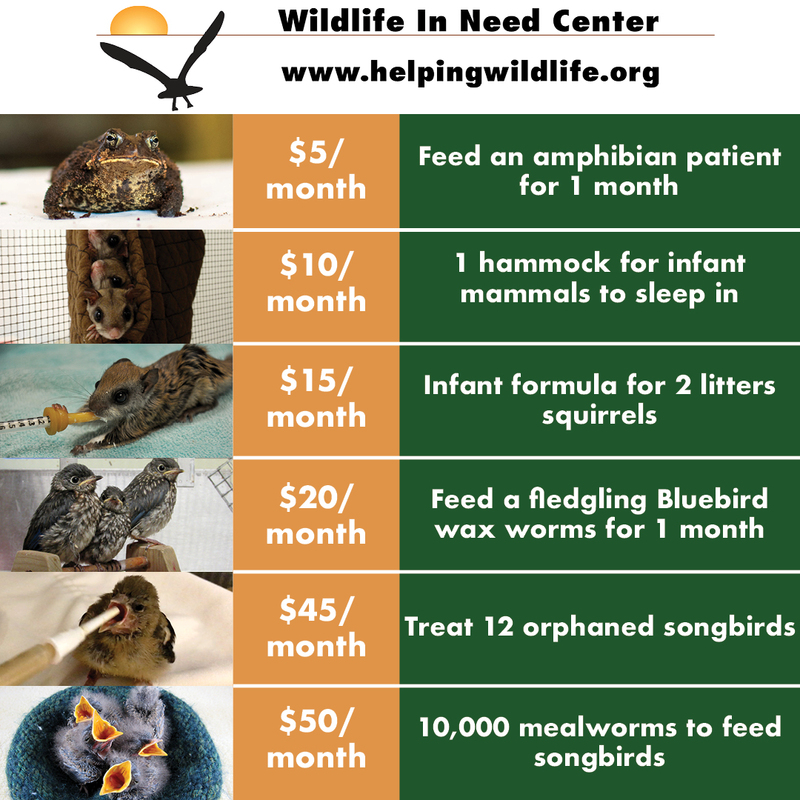 Monthly donors – or the special group of people we call “Wildlife Animal Champions” – are so incredibly important to the work we do at the Wildlife In Need Center. Our commitment to help injured, orphaned or sick wildlife and providing wildlife education programs depends on your generosity. You can help for as little as 17 cents a day! As a Wildlife Animal Champion and WINC member, you are part of a special group of people who designate an amount that is automatically donated to the Center each month. Whether you can give $5 or $50 each month, it truly makes a difference. Just $5 a month, which averages to just 17 cents a day, can feed an amphibian for the entire month and $50 a month can provide the critical care diet to nourish our wild patients. 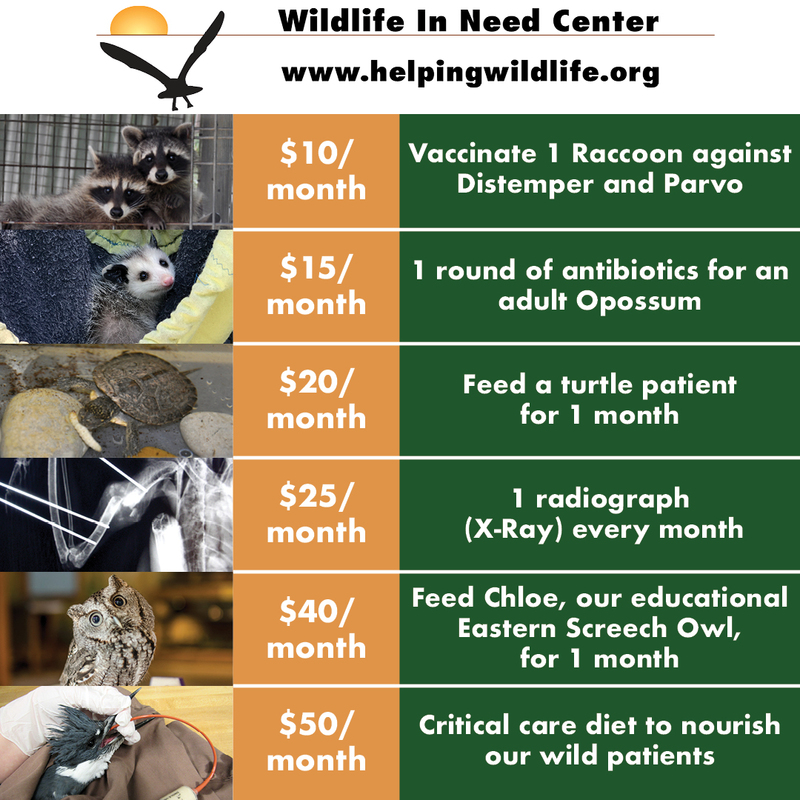 Your generous contribution supports our mission caring for 3,200 wild patients and providing 150 wildlife education programs annually. 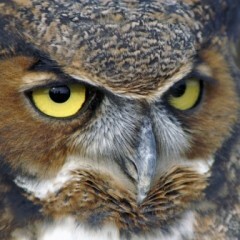 On behalf of the wildlife, we thank you! By becoming a Wildlife Animal Champion member, you will receive elite invitations and discounts to special events, opening up opportunities for you to connect with other WINC supporters as well as our staff, volunteers, and even our animals! The Wildlife In Need Center hosts many fun, unique, and interesting events throughout the year to support the wild animals that come through our doors. Members receive a subscription to Wildlife Tracks, our members-only newsletter detailing all the interesting animals, exciting rescues, upcoming events, and educational opportunities here at the center. The knowledge that you play a critical role in helping thousands of animals and educating your friends and neighbors about living with the wild creatures with whom we share our backyards.